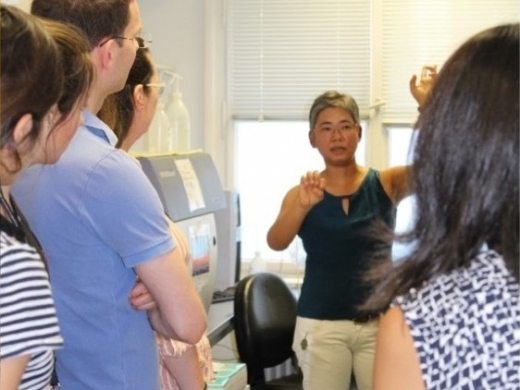 The goal of the NeuroMac initiative is to obtain insights into the diverse functions of myeloid cells in the CNS during development, health and disease. A particular focus will be on parenchymal macrophages (microglia), circulating monocytes and bone marrow myeloid cells (e.g. myeloid progenitors). Combining studies of brain myeloid cell development and homeostasis, neurobiology, cell migration and neuropathology in one research initiative will enable a fruitful and productive interaction between the groups involved. 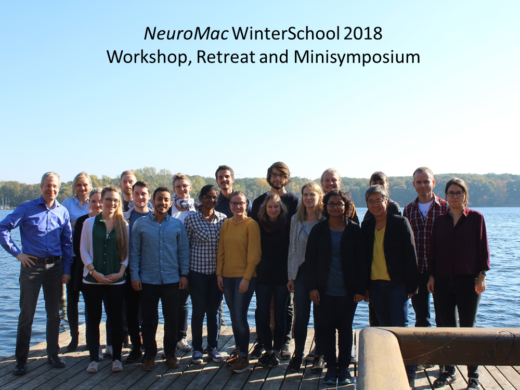 Berlin, 4th-5th July 2018: The NeuroMac School participated in the 2nd Human Brain Project (HBP) curriculum workshop series – Neurobiology for non-specialists. 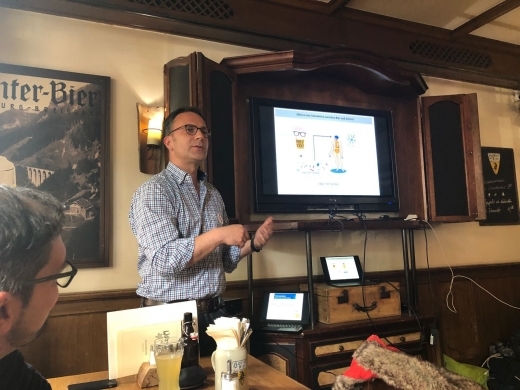 The “Pint of Science” from May 14th to 16th at the Pub “Goldener Sternen” was a great opportunity to learn about brain research from world-leading researchers from Freiburg in a comfortable atmosphere. Vitka Gres, Julia Kolter, Daniel Erny, Philipp Henneke, The role of CNS macrophages in streptococcal meningoencephalitis, Journal of Leukocyte Biology, doi: 10.1002/JLB.4MR1118-419R (2019). Takahiro Masuda, Roman Sankowski, Ori Staszewski, Chotima Böttcher, Lukas Amann, Christian Scheiwe, Stefan Nessler, Patrik Kunz, Geert van Loo, Volker Arnd Coenen, Peter Christoph Reinacher, Anna Michel, Ulrich Sure, Ralf Gold, Josef Priller, Christine Stadelmann & Marco Prinz, Spatial and temporal heterogeneity of mouse and human microglia at single-cell resolution, Nature 566, 388–392 (2019). Marta Joana Costa Jordão, Roman Sankowski, Stefanie M. Brendecke, Sagar, Giuseppe Locatelli, Yi-Heng Tai, Tuan Leng Tay, Eva Schramm, Stephan Armbruster, Nora Hagemeyer, Olaf Groß, Dominic Mai, Özgün Çiçek, Thorsten Falk, Martin Kerschensteiner, Dominic Grün, Marco Prinz, Single-cell profiling identifies myeloid cell subsets with distinct fates during neuroinflammation, Science 363 (6425), eaat7554 (2019). Judith Houtman, Kiara Freitag, Niclas Gimber, Jan Schmoranzer, Frank L Heppner, and Marina Jendrach, Beclin1-driven autophagy modulates the inflammatory response of microglia via NLRP3, The EMBO Journal, DOI 10.15252/embj.201899430 (2019). Chotima Böttcher, Stephan Schlickeiser, Marjolein A. M. Sneeboer, Desiree Kunkel, Anniki Knop, Evdokia Paza, Pawel Fidzinski, Larissa Kraus, Gijsje J. L. Snijders, René S Kahn, Axel R Schulz, Henrik E Mei, NBB-Psy, Elly M. Hol, Britta Siegmund, Rainer Glauben, Eike J Spruth, Lot D de Witte & Josef Priller: Human microglia regional heterogeneity and phenotypes determined by multiplexed single-cell mass cytometry, Nature Neuroscience 22, 78–90 (2019). Anat Shemer, Jonathan Grozovski, Tuan Leng Tay, Jenhan Tao, Alon Volaski, Patrick Süß, Alberto Ardura-Fabregat, Mor Gross-Vered, Jung-Seok Kim, Eyal David, Louise Chappell-Maor, Lars Thielecke, Christopher K. Glass, Kerstin Cornils, Marco Prinz & Steffen Jung: Engrafted parenchymal brain macrophages differ from microglia in transcriptome, chromatin landscape and response to challenge, Nature Communications 9, 5206 (2018). Fabrizio Costa, Dominic Grün, and Rolf Backofen: GraphDDP: a graph-embedding approach to detect differentiation pathways in single-cell-data using prior class knowledge, Nature Communications 9, 3685 (2018). Derkow K, Rössling R, Schipke C, Krüger C, Bauer J, Fähling M, Stroux A, Schott E, Ruprecht K, Peters O, and Lehnardt S: Distinct expression of the neurotoxic microRNA family let-7 in the cerebrospinal fluid of patients with Alzheimer’s disease, PLoS One. 13(7):e0200602 (2018). Zhana Haimon, Alon Volaski, Johannes Orthgiess, Sigalit Boura-Halfon, Diana Varol, Anat Shemer, Simon Yona, Binyamin Zuckerman, Eyal David, Louise Chappell-Maor, Ingo Bechmann, Martin Gericke, Igor Ulitsky and Steffen Jung: Re-evaluating microglia expression profiles using RiboTag and cell isolation strategies, Nature Immunology 19, 636–644 (2018).